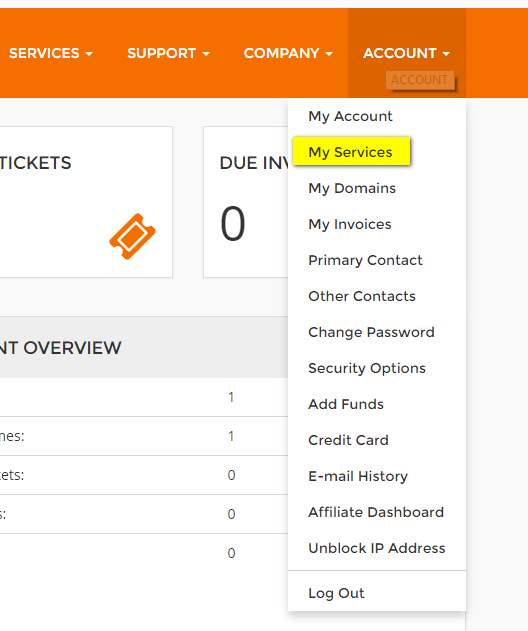 - After logging into islandhosting, go to the account menu and click My Services. 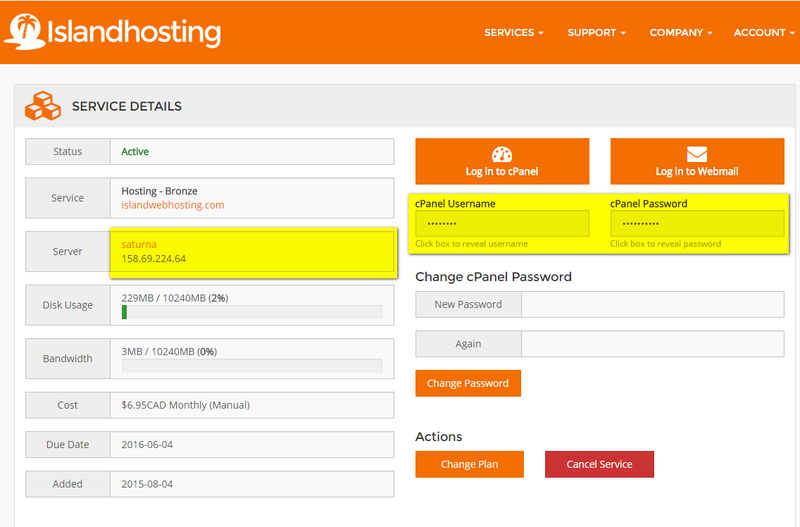 On this page you will find the server name (Just add ".islandhosting.com to the end of the server name) or the server IP, your Cpanel username and password. You may also use your primary domain as a hostname to connect to. How can I view the content of my web space if I have no active domain?